What are the Best Dutching Strategies? Home Betting What are the Best Dutching Strategies? If you have heard of dutching then you may wonder whether it is right for you. This is a type of betting strategy that lets you make smarter wagers each time. In this article I’ll be covering the best dutching strategies. Legend has it that the name “dutching” comes from the name of its creator. Apparently it was first devised by Al Capone’s accountant Dutchy Schultz. That doesn’t mean it is illegal to use this method, though. Instead, this is a completely legal and sensible way to beat the bookies. Dutching strategies are most commonly used to win at horse racing. They can also be applied to football games and other types of sports bet too. So, what is this and how can you win using the right strategies? The truth is that it is a simple concept but one that you need to understand well before starting. What Is Dutching All About? The simplest way to describe dutching is as a way of spreading your chances of winning. Basically, you make a number of bets on the same race or match. This means that you cover a range of different possibilities at the same time. Often each of these bets is designed to pay out the same amount. Because of this, you know how much you will win no matter what the result is. In other cases, the potential win could vary greatly. It is a good approach when you aren’t sure which of the options to bet on. For instance, there may be a horse race in which you sure that 1 out of a certain 2 or 3 runners will win. This strategy cuts out the risk of choosing the wrong one from the selection. Unlike matched betting, this isn’t always a guaranteed way of winning every time. If you only bet on a selection of horses then you increase your chances of winning. Yet, you might also fail to choose the right horse. You can avoid this risk by dutching the whole field. This means that you bet on every runner. The profits will be lower in this but there is no risk of losing money. Therefore, it is safe to say that there is a dutching approach that is right for everyone. Maybe you want to stay safe or perhaps you are confident in your ability to choose 2 or 3 horses in order to identify the winner. Either way, you are far more likely to win than on a conventional, single bet. As with most good betting strategies, this is about good maths rather than taking risks. You are reducing your risk of losing with every bet. Finding the right event to bet on is crucial to this strategy. Ideally, you want to be able to feel confident that one of you choices will almost certainly win. Even better is when you discover a race that lets you bet on every horse and still win. Of course, if you could win by betting on every horse in every race then life would be simple. This isn’t the case, though. Only certain races or sporting events lend themselves to this strategy. You need a range of bookies to offer prices that make it worthwhile for you. If you find the right deals then it all makes perfect sense. Overall, this is a slow and steady approach to making money. Because you divide your stake you aren’t likely to ever win a fortune. However, it is a smart approach to lowering the risk of losing. You could look on it as being a way to get a steady income. By identifying bets using dutching software you won’t need to spend a lot of time on it either. This can be a fine way of taking money off the bookmakers with very little effort. The calculations that you need to make for a dutching strategy can be a little bit complicated. If we start off with a simple example it is easier to get a grip on. Let’s imagine that there are two horses you want to bet on. Each has odds of 5/1 and you want to bet a total of £20. In this case, you split the bet out and put £10 on each of them. You will win £50 if either of them wins. This means that your overall profit will be £30 in either case. Things get more complicated if the bets you are interested in have different odds. In this case, you need to work out how much you need to bet on each to get the same return. Clearly this will mean putting different stakes on each horse. It is even more complicated when you want the dutch the whole field. In this case, you need to know how much to bet on each horse. You will also need to divide out the bets over a number of bookies, finding the best odds on the market. As mentioned earlier, not every race is suitable for this this method anyway. This means that you run the risk of spending all day trying to work out which races to bet on. Obviously this isn’t a great way of making money. Thankfully, life is made a lot easier when you use a dutching calculator to do the hard work for you. When you do this you start off by working out how much you want to gamble in total. You then put in the odds for each of the runners or teams you are interested in. The dutching calculator will then work out the exact amount that you should bet on each one. You will very quickly see the profits to be made and the stakes to be placed. It is fast and easy, so you can’t go wrong. You should always choose a reliable dutching calculator that you can trust. As well as seeing the details of the bets, it should also be easy to then place them. This will ensure that you always bet the right amount to win the no matter which one runner wins. Naturally, this cuts out the risk that you work out the figures wrong on your own. Have you already discovered the power of matched betting? If you have then you know that this is a way of betting on every possible outcome. It is a terrific way of removing the uncertainty of gambling. 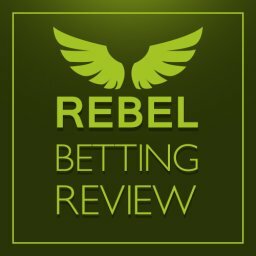 I’ve written a detailed piece about Matched Betting here. As we have seen, basic dutching is similar but there are some differences. The main difference is that in dutching you may only cover the possibilities that you think are most likely to win. This is different from the mathematical approach of covering all possibilities with matched betting. Of course, with some dutching strategies you strip out the risk. You do this by betting on every possible outcome. This makes it far more similar to matched betting. In addition, rather than placing a lay bet you simply bet on each of the outcomes you are interested in. Overall, this is a strategy that typically requires a higher outlay. However, the returns are also generally higher too. With matched betting you avoid all risk and get a way of picking up steady if unspectacular wins. If you go for dutching then you can choose to take more chances with the prospect of bigger profits. Therefore, it is an alternative to matched betting that can make sense for a lot of punters. 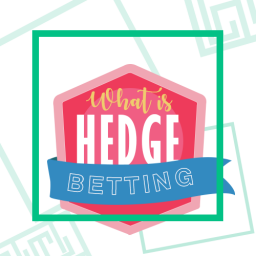 So, when are you likely to choose dutching over other types of matched betting? This can be a sensible approach when you are sure that one of two runners in a horse race is going to win. In sports such as football or tennis you will be betting on all possible outcomes. This means that a dutching strategy is always a lot closer to matched betting in these sports. Dutching is a fantastic way of taking advantage of tempting offers from bookmakers. For instance, what if one bookie has a great price on Liverpool beating Manchester United? Well, if a rival has an equally good price on Manchester United winning then dutching makes a lot of sense. Below is the Profit Maximiser Dutching Software. This is an approach that is best suited to someone who wants to use some of their own knowledge too. With matched betting you are covering all possibilities. This means that you don’t need to work out which option to bet on. On the other hand, you get to narrow down your options with dutching. If there is a race with 10 horses in it then possibly you aren’t going to bet on them all. You need to know which 2 or 3 the winner is going to come from. In this way, you cut out the horses that you are certain won’t win. This approach lets you concentrate your money on the runners that you are confident will win. You will also be more interested in dutching if you want to bet more money. Matched betting is all about place no risk bets but dutching sees you increase the stakes somewhat. There are bigger returns to be gained, of course. Overall, it is a strategy that is perfect for some punters. It is also worth pointing out that you can combine it with other strategies as well. You can also place more bets if you look for both dutching and matched betting possibilities. By keeping an eye out for both types of opportunity you have more chances to win. Remember that on some days dutching opportunities may be thinner on the ground, meaning that you need a back up plan. Click here to learn more about Matched Betting. With this strategy you can look for some of the best bookie offers around. A Best Odds Guaranteed deal will mean that you increase your chances of a big win. This sort of wager works very simply. You will want to get your bet on early at a good price to start with. The bookie then promises to pay you at the starting price. This is the deal even if it is higher than your price by then. It is an attractive deal that the bookie uses to entice punters to make bets. However, it is also opens up possibilities for you to take more money off them. You can take advantage of this with a clever dutching strategy. Basically, you bet on different horses in the same race that each have a Best Odds Guarantee. It is then a question of sitting back to see what happens. Ideally, the odds on the horse that wins has increased by the starting time. This means that you get more value for your bet if you get lucky and the price drifts. It can make sense to do this in races with fewer horses. This makes it easier to cover more of the possibilities. The odds are also typically better in this kind of race. You might not win particularly big amounts with this approach. However, it is a good way to keep the wins rolling in regularly with little risk. Having said that, you will want to place bets that make sense even if the odds don’t drift. Naturally, it makes sense to use betting software to find the best deals. Otherwise, it can take some time to find the right sort of offers. Not all races will let you use this strategy. Indeed, looking for offers manually could take you a huge amount of time. This is why it makes sense to let a piece of software do the searching. You then just choose the deals that appeal to you. Advantage Play secrets has the best BOG dutching software. Another of the best dutching strategies worth considering is called each way dutching. This is a smart approach that ensures that you never lose money. In this case, you are exploiting a bookmaker loophole legally. This is because some horses can pay out more for a place than you would expect them to. Finding these deals means that your bets are then totally risk-free. It is similar to the matched way betting approach using the Each Way Sniper software. However, the difference is that in this case you back each horse on an each way bet. There are no lay bets needed with this strategy. Generally, the worst result you should be looking for is to break even on your stakes. This would usually happen if the favourite wins the race. Alternatively, your winnings will be greatly increased if an outsider at a high price wins. In a lot of cases you will win somewhere in the middle of these 2 extremes. This means that you can expect a lot of mid-sized wins to keep you ticking along. As with any risk-free betting strategy, bigger wins can come along now and then too. The key with this dutching strategy is to find the right race. You need the odds to stack up correctly to make this a no risk approach. This means that relatively few races are suitable for this kind of bet. You can’t simply use this strategy on any race. The odds need to be in your favour for it to make sense. As with previous betting strategies, the right software makes this a lot easier. In this way you can very easily work out how to take the risk out of the bet. You can then very quickly place the right bets to guarantee a profit. There aren’t usually very many races that meet the criteria for this dutching strategy. Using powerful software you can expect to find maybe 1 race each day that you can bet on. Therefore, if you want to bet more regularly you will maybe want to combine it with other betting strategies. However, it is definitely worth looking for these opportunities. A risk-free bet with the chance for an impressively big win is always great news. Each way dutching could turn out to be the strategy that gives you most long-term joy. Advantage Play Secrets includes Each Way Dutching Software. This method takes advantages of bookie offers that pay out on extra places. These offers make betting more profitable if you know how to benefit from them. You do this simply by betting on each of the horses in the race. It is a betting method that lets you guarantee a win every single time. Of course, some races will give bigger wins that others. However, the key here is that by betting on all of the horses there is no risk of you not winning. The best dutching software lets you quickly identify the right races for this strategy. In fact, you can see at a glance how much you can expect to win too. This will be a range that runs from a small profit up to big winnings. As we have seen in the other strategies, you will typically win something in the middle of the range of possible profits. Having said that, the thrill of possible getting a bigger win is always present. There is no risk here, as you are betting on every horse. The only unknown is exactly how much you will win in this way. It could be a huge win or it could be far more modest. There is no need for specialist betting knowledge to win money in this way. Instead, you need to choose the right software and then simply follow the instructions carefully. 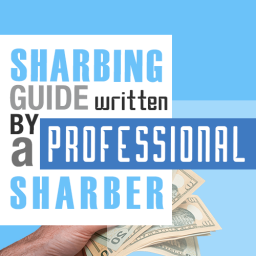 Sharbing guide written by a professional shop arber. This covers everything you need to know about making money from bookmaker shops. Shop arbing is one of the best arbitrage strategies. 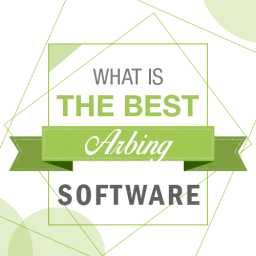 What is the Best Arbing Software? 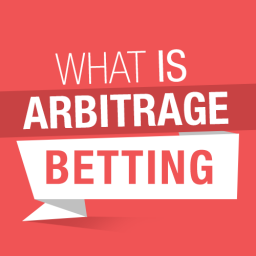 If you have never before done arbitrage betting using arbing software, consider it as it could turn out to be the key to making money with no-risk bets. Each Way Arbing allows you to lock in profits on a certain horse but with a twist. Half of your wager goes to the “Win” market and the other goes to the “Place” market. 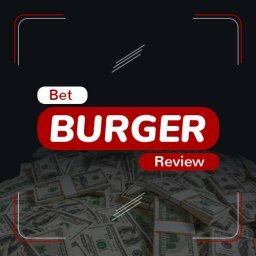 BetBurger Review – Is it worth signing up? Can a sports bet ever be classed as an investment? This is the question that we are faced with at the BetBurger site. They claim that they offer surebets as investments. What is it all about? It is an arbitrage betting site. Basically, it identifies arbs opportunities for you. This is a popular type of bet. But you need to be completely sure of what it involves before getting started. So, let’s start by seeing what this really means on this BetBurger review. Then we can look at the full details and the cost of the BetBurger software. Although many people start betting on sports for fun, there is a lot of precision involved. If you are interested in becoming a professional in the field, Read more! 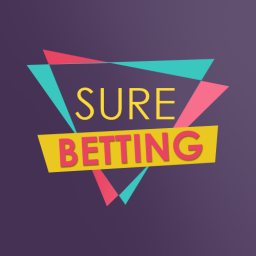 Sure bets, also known as arbitrage bets have become incredibly popular. Betting each day without any risk of losing money by the time the game is over sounds amazing.